No additional weight and the same softness at any depth. Standard backplate padding, made of foam have practically only drawbacks: Already at the depth of more than ten meters they become noticeably thinner and definitely harder, which makes the harness more loose and less comfortable, and they also require additional weight, which adversely affects the diver's safety. The revolutionary padding made of 3D Mesh behaves completely different. The softness results from springy fibres inserted in a special manner in the mesh structure. Thanks to such solution the water can easily flow through the mesh, and the pressure does not have any impact on its parameters. Result? 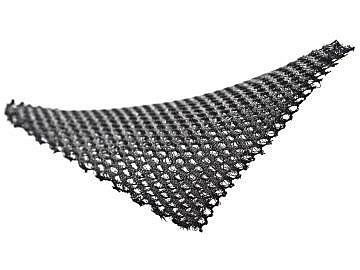 Advantages only: Padding made of 3D Mesh does not compensate under pressure, is equally soft at all times and does not require additional weight. It also dries much faster than the classic foam.